Lay betting is an option on exchanges like Betfair where bettors can play the bookmaker, offering odds to sell a bet instead of to back a bet. It is one component of matched betting, where punters both back and sell bets on the same game to guarantee winning. It is a type of bet that is placed when you are selling a bet, rather than buying a bet. It is generally placed by punters who play the role of bookmaker, hence "lay betting". It also goes by the terms of matched betting, arbitration or arb betting. Lay betting (also known as lay bet matching, arb betting, double betting and matched betting), is a betting technique used by individuals to profit from free bets and incentives offered by bookmakers. It allows punters to sell bets instead of the usual odds in backing a bet. Lay Betting is an option on exchanges where betters play the role of a bookmaker, but offers odds to sell a bet instead of the odds to back a bet. Laying a bet offers a method of betting against the odds of an outcome, instead of for it. It is also known as a "back bet". Lay Betting is the option on Exchanges such as Betfair where punters can play the role of a traditional bookmaker but offering odds to sell a bet instead of the usual odds to back a bet. "I bet you won't get a bullseye"; "I bet you won't finish all that"; "They'll never win if he plays." The emergence of betting exchanges such as Smarkets have made lay betting more popular and helped change the way people gamble. Exchanges have paved the way for cash-out options, an in-play markets, which almost every major sportsbook now offers. Lay betting is largely what makes matched betting possible, or at least much easier. Because matched betting relies on the punter placing bets on two opposite outcomes (a binary bet), one half of the bet will be a lay bet, most likely on an exchange. Working out how much to stake on each half of the bet – how much to back and how much to lay – is the tricky bit. 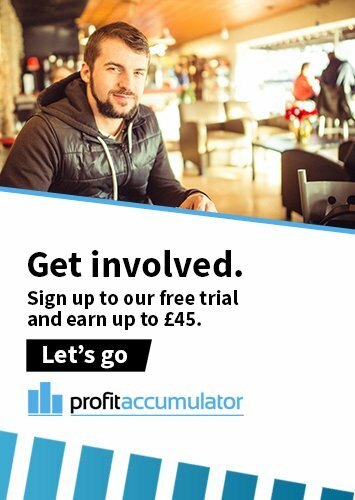 That is where Profit Accumulator's betting calculator comes in particularly useful. Members can also access oddsmatching software, which will automatically flag up instances where they lay price is higher than the bookmaker price – an arbitrage bet opportunity. 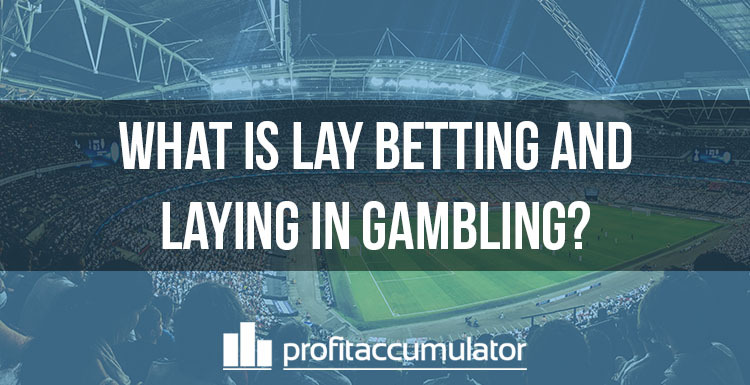 A little like hedging, lay betting can be used to reduce risk and, in some cases, guarantee a profit. A shift in circumstances and odds can present opportunity to lay a selection you have backed or vice versa. For example, you back a football match to be a draw at odds of 3.8 with a stake of £100 – the potential profit is £280. At half-time the game is still 0-0 and nothing much at happened, the odds of a draw will have shortened, say to 3.0. If you chose to lay at this price to win £126.67, your liability would be £253.34. If the match is a draw, you win £280 but lose £253.34 that you laid, meaning a £26.67 profit. If the match is not a draw, you win £126.67, minus your £100 stake, also resulting in a profit of £26.66. The fact that you are guaranteed to profit with matched betting makes it one of the best ways to make money online.